mumbled "New Book - COMING SOON"
mumbled "Months Silence for Eucatastrophe"
mumbled "✗ Chapter 26 of Eucatastrophe is LIVE ✗"
✗ HAPPY HOLIDAYS EVERYBODY! Hope you've all had a wonderful couple of days with your families and friends, no matter what you celebrate! I hope you all had safe travels on holiday as well! I hardly ever post mumbles on here but I figured I would today. I thought I'd post a new chappie today as my gift to you! 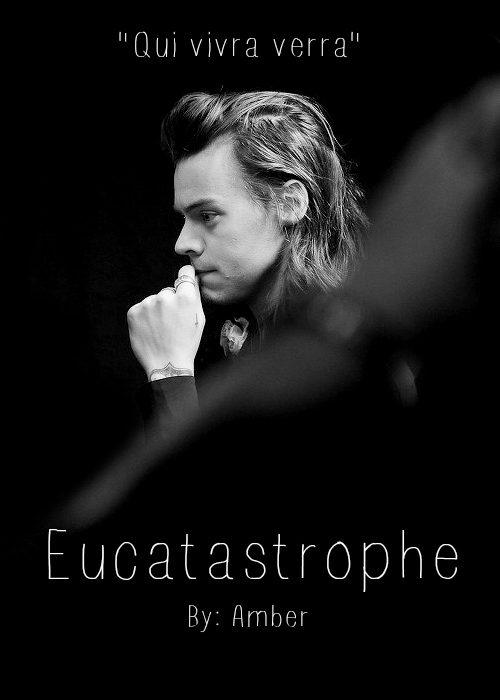 I wrote a while back about a new book I've written called Eucatastrophe (Harry Styles). Originally it was only going to be available on Wattpad, but I've come to the decision to share it here on Movellas. There are currently nineteen chapters written and published, all of which I am currently trying to post on this sight as soon as possible. I really hope you all come to love it as much as I already do. I have a feeling it will be a big success and hopefully get my name out there. It does involve some adult content: language, sexual themes, and a big of violence as well as some possible triggering subjects. I do hope you come on over and check it out though. It would be so much. So I haven't updated on this site for a long while and that's because I've taken an extended break from my 5SOS stories. I wrote a new book featured on Wattpad called Eucatastrophe and would absolutely adore it if you all went and checked it out, showed it a little love. Eucatastrophe is a Harry Styles A.U. fan fiction that takes place in London, England. The main character's name is Shay Nichols, an executive assistant to Mr. Styles. PLEASE, PLEASE, PLEASE come on over and check it out!